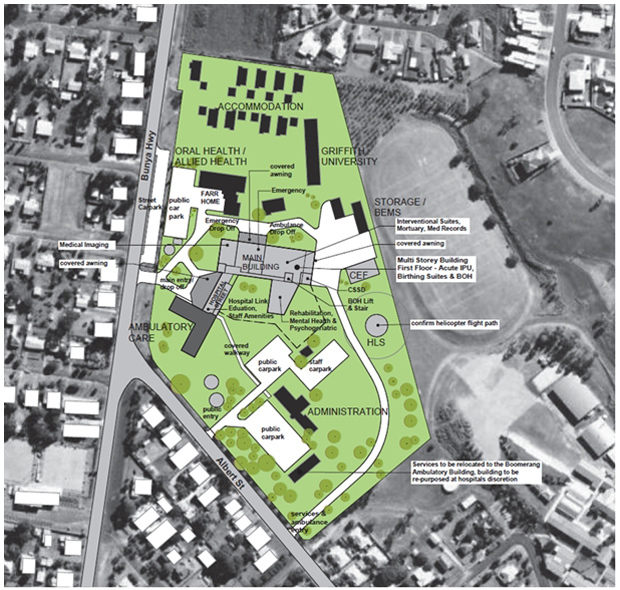 The Darling Downs Hospital and Health Service has released some very early concept plans for the new $62 million Kingaroy Hospital. 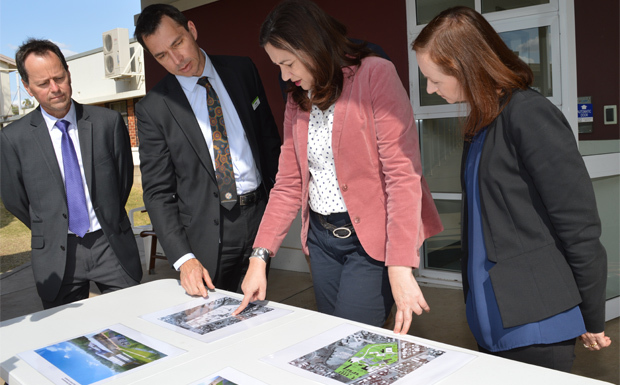 The plans, which were unveiled to Premier Annastacia Palaszczuk during her visit to Kingaroy on Monday, show where the multi-storey building will be located in relation to the current building. They also reveal plans to enlarge the current car park in front of the Community Health building and create a new car park closer to the main hospital building. An architect was appointed this week to begin more detailed work on the project design. Brisbane-based Conrad Gargett has been appointed as the principal design consultants. 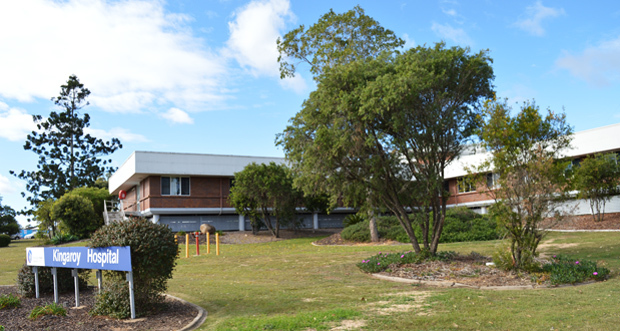 The company has worked on other Queensland hospital projects including the Sunshine Coast University Hospital, Lady Cilento Children’s Hospital in Brisbane and Mt Isa Hospital. 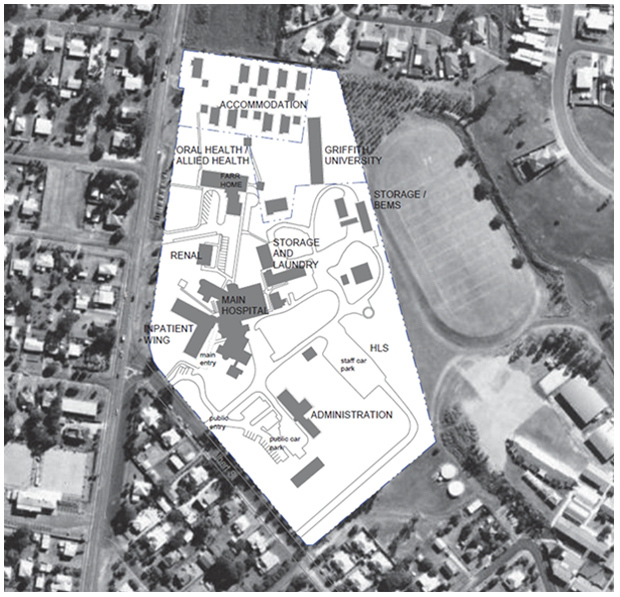 It has been involved in preliminary planning with the Darling Downs and District Health Service for the new Kingaroy Hospital since 2015. 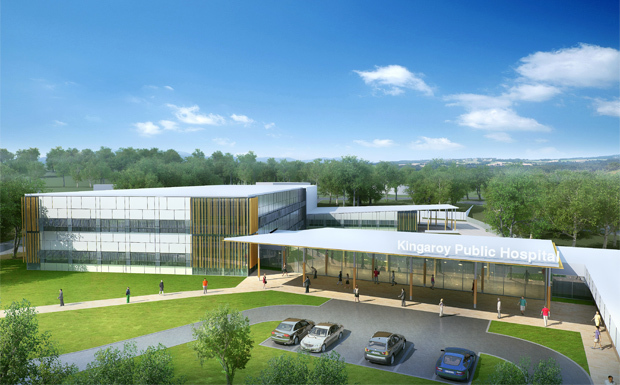 Conrad Gargett also provided full consultancy services, including principal consultant, architectural, landscape architectural and interior design services for the new Kingaroy Police Station and Watchhouse. The new Kingaroy Hospital will have 66 beds and will also have specialist areas for paediatric, obstetric, rehabilitation and mental health services. In June, the “Regional Action Plan” Budget document also specified it would have 12 emergency department spaces, six consulting suites, two operating theatres and two birth suites. The State Government hopes the new hospital will receive its first patient in 2021. In the meantime, all current medical services will continue in the existing hospital while construction continues out back on the new building.